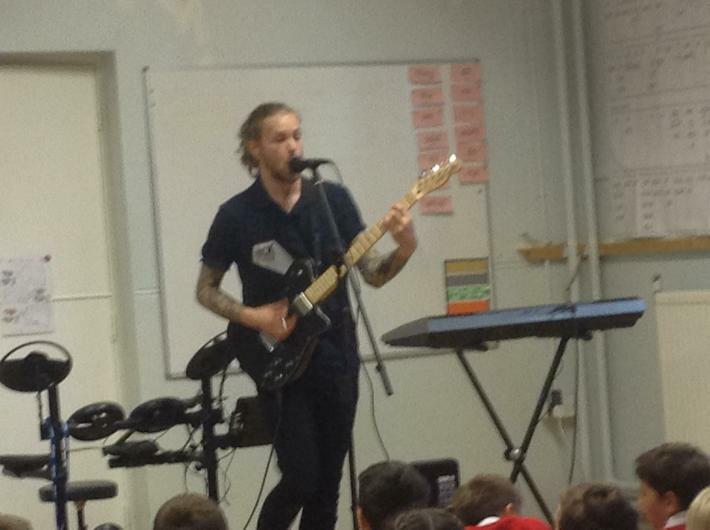 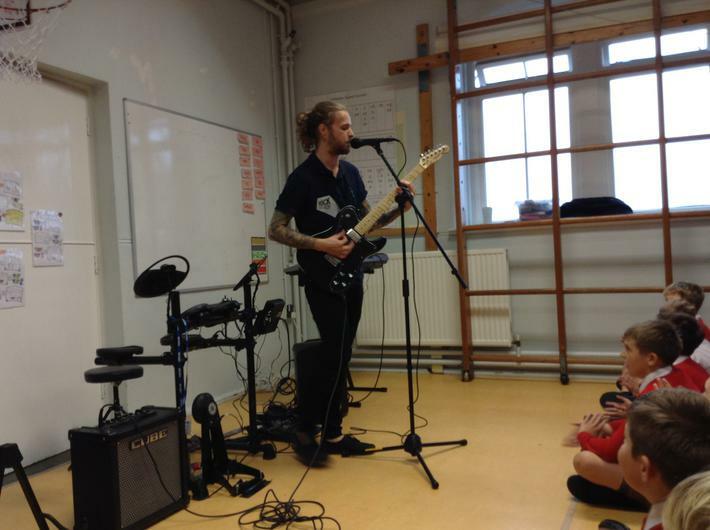 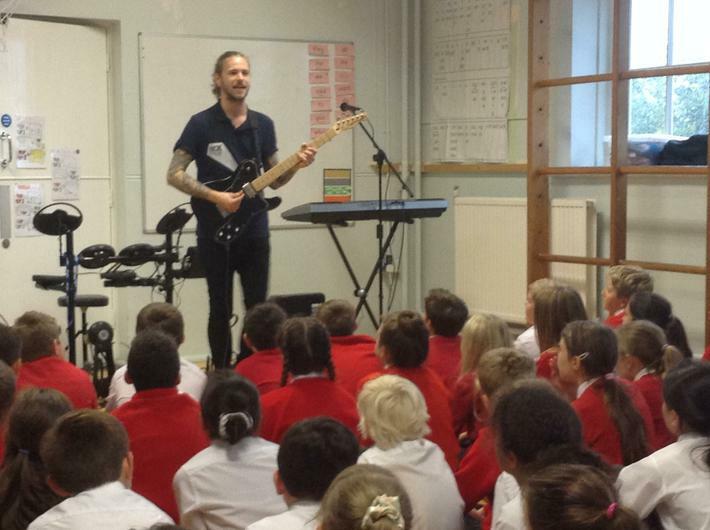 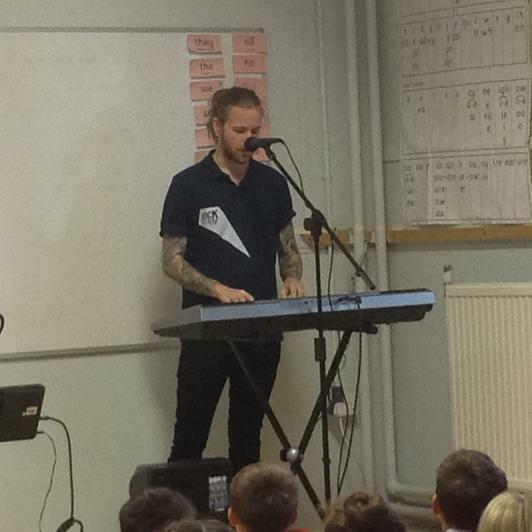 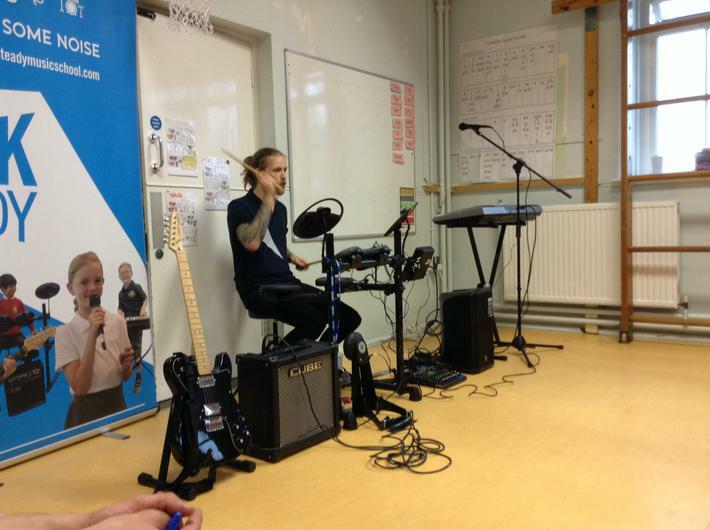 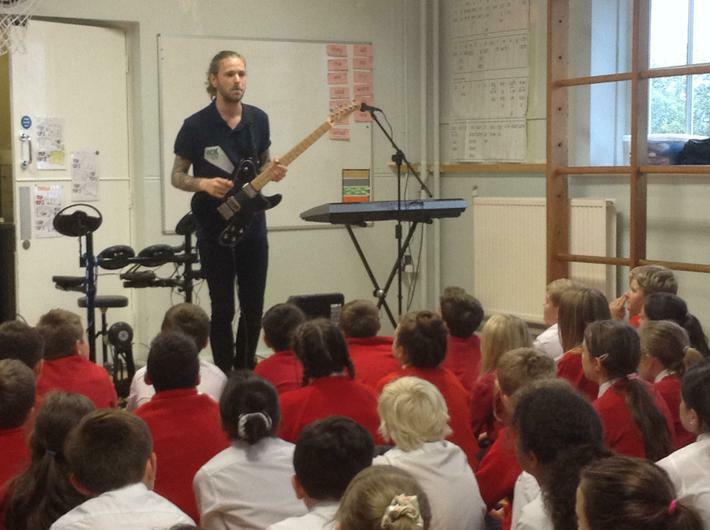 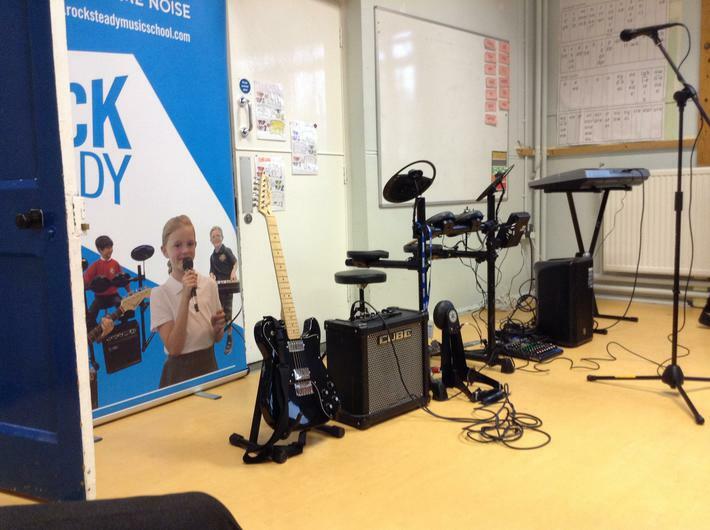 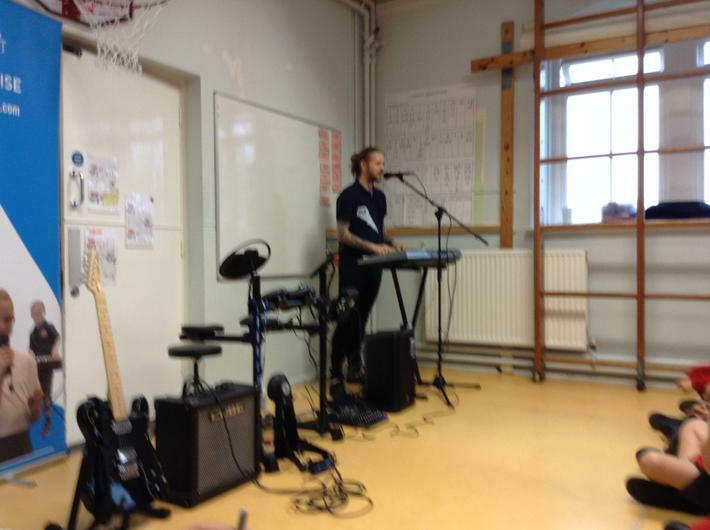 Last week, we had a mini rock concert in school ! 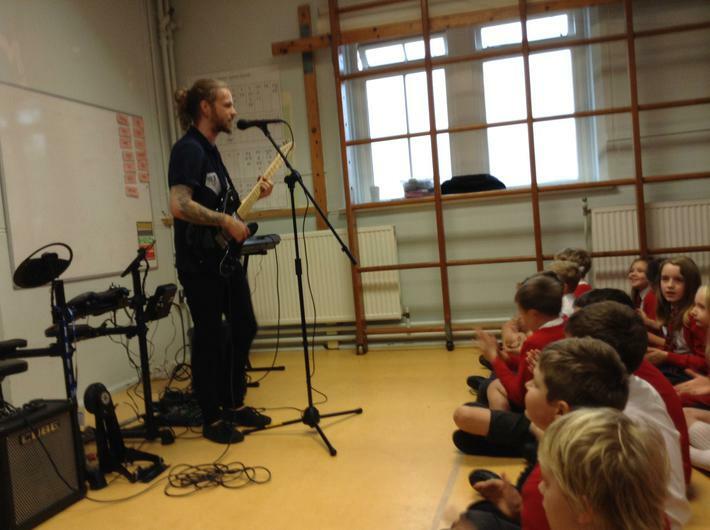 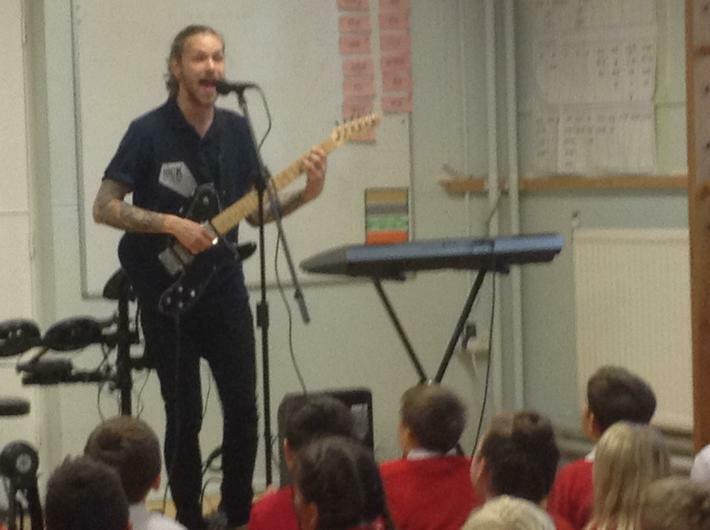 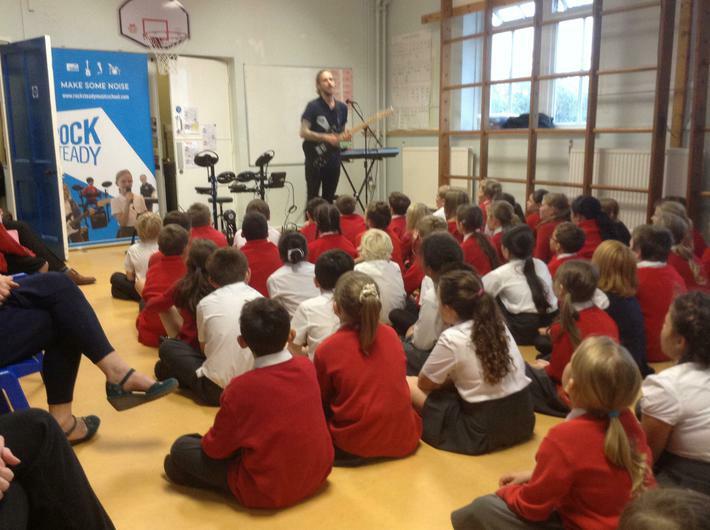 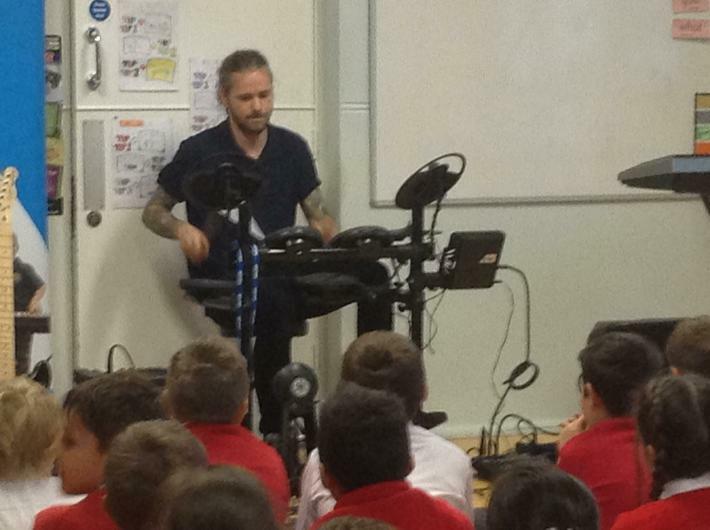 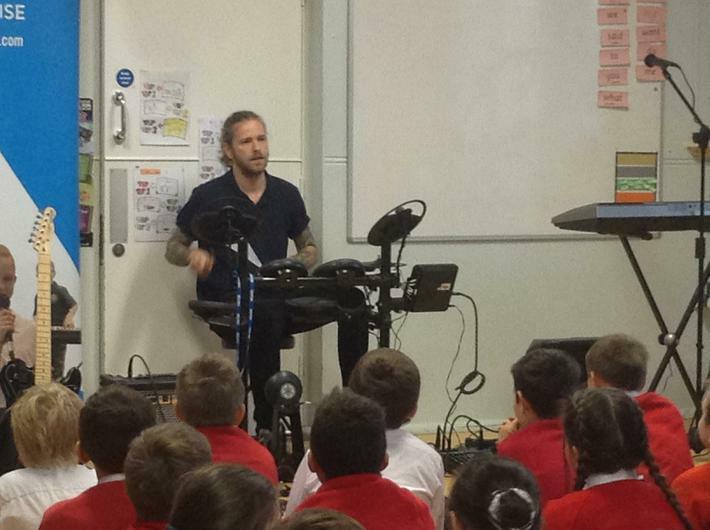 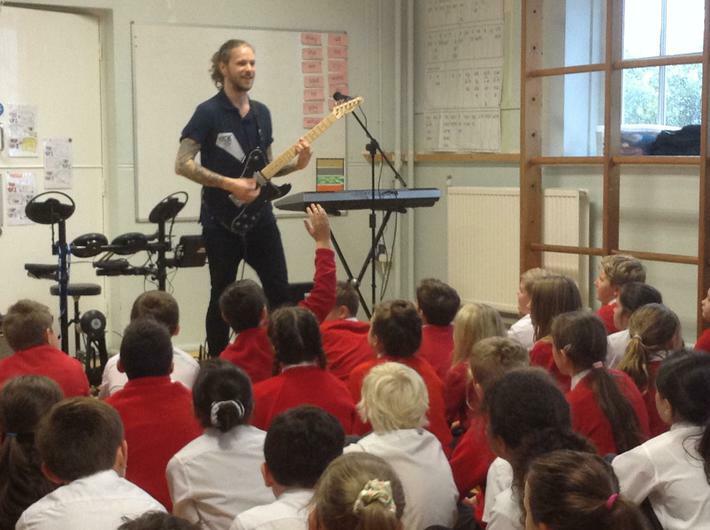 Jamie, from Rock Steady Music company, came into an Assembly and performed music and singing with a variety of instruments. 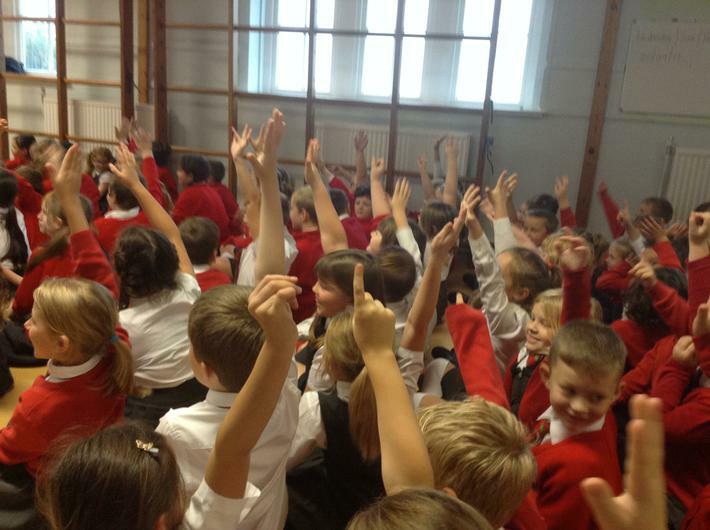 The children and staff loved it. 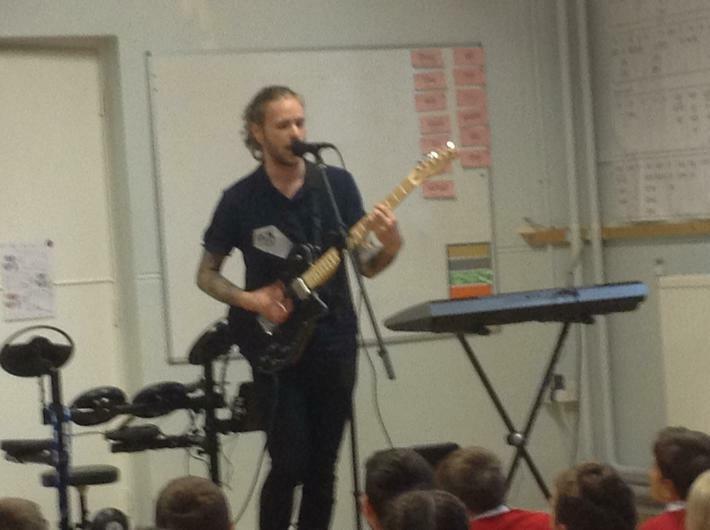 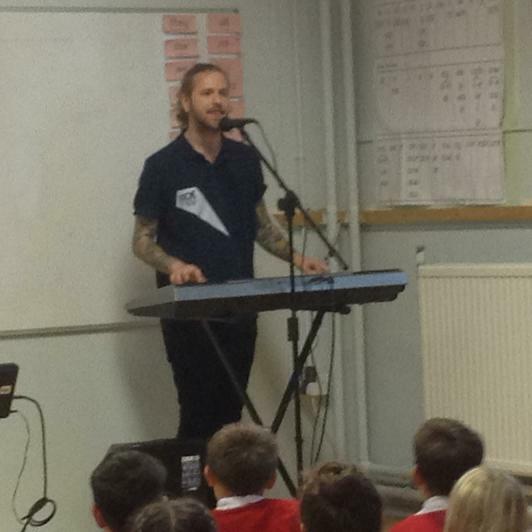 Mr Mander and Mr McLaren were really jealous of Jamie's singing and musical talents !